Commemorating One Year Since The Killing of Harambe At Cincinnati Zoo. Harambe was a 17 years old gorilla at Cincinnati Zoo who was shot when he was seen to pose a threat to a 3-year old boy who had fallen into his enclosure. A video taken at that time shows Harambe dragging the boy for several minutes. It is a death that evokes mixed reactions from the general public. As we celebrate one year since the killing of Harambe, we need answers to some questions. Were the boy’s parents to blame? Had Cincinnati failed in ensuring that the habitat was well fenced to prevent any contact between visitors and animals? Was the boy in imminent danger? Did Harambe deserve to die? When visiting a zoo, one should ensure there is no direct contact with the animals. In this case, Cincinnati zoo had failed to fence the habitat correctly. This posed a threat to any visitor to the zoo, especially those who came with small children. Harambe did not drag the boy into his habitat but rather, the boy fell into his habitat. It is natural that Harambe felt threatened by the presence of the boy in his space. His decision to drag the kid cannot be blamed. It shows that the parents were not watching their son. Many animal activists have criticized the decision to shoot Harambe. They have argued that the gorilla did pose any threat to the boy. However, zookeepers and the Dangerous Animal Response Team have maintained that it was the only feasible option at the time. It is now one year since this unfortunate event happened. It is time we learn the importance of having all the zoos in the country having barriers to restrict contact between visitors and non-human primates. This would make our zoos safe for the visitors and animals too. In commemorating the death of Harambe, it is a lesson to all parents visiting the zoos with their children to keep their eyes on them. Parents should ensure they know the whereabouts of their children when in the zoo. If they are too young, they should hold their hands all the time. The celebration to mark one year since the death of Harambe will be led the Dank Memes Gang. 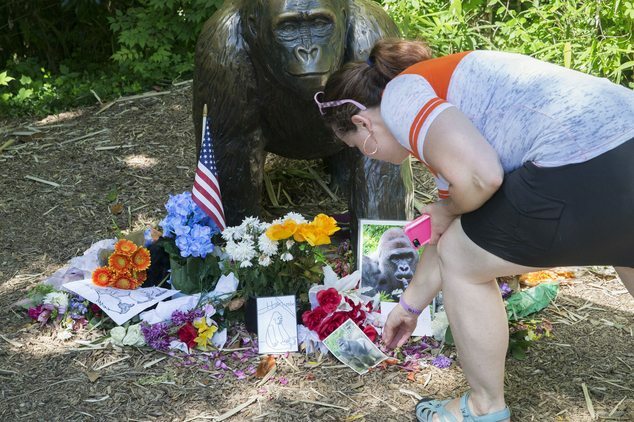 People are expected to honor those that were affected by Harambe’s death around the world. This anniversary is also important in remembering the life of Harambe. The day is also important in remembering the spirit that was shown by the security staff at the zoo in saving the life of the little boy. It is a reminder of the job of zookeepers around the world in ensuring the safety of zoo visitors.